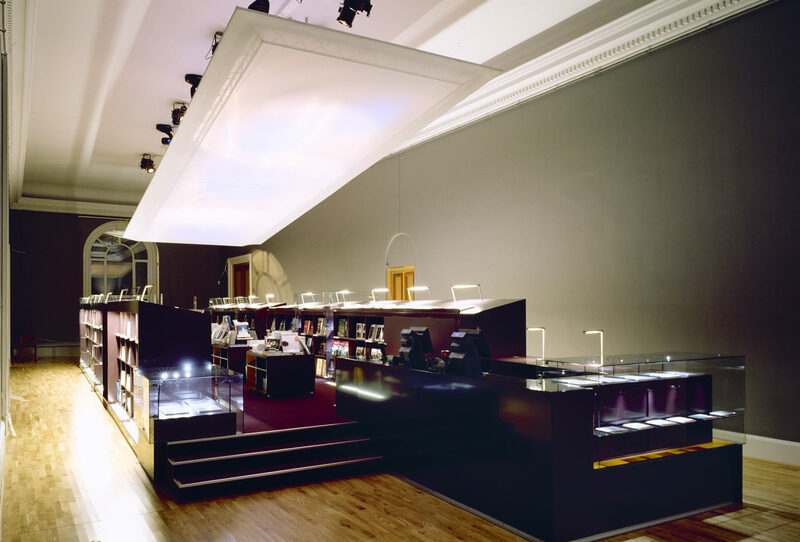 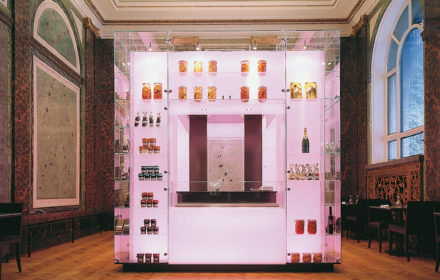 Located in on of the main halls of the National Gallery, the shop expresses itself as a freestanding object placed on a slightly oblique angle to the geometry of the hall. 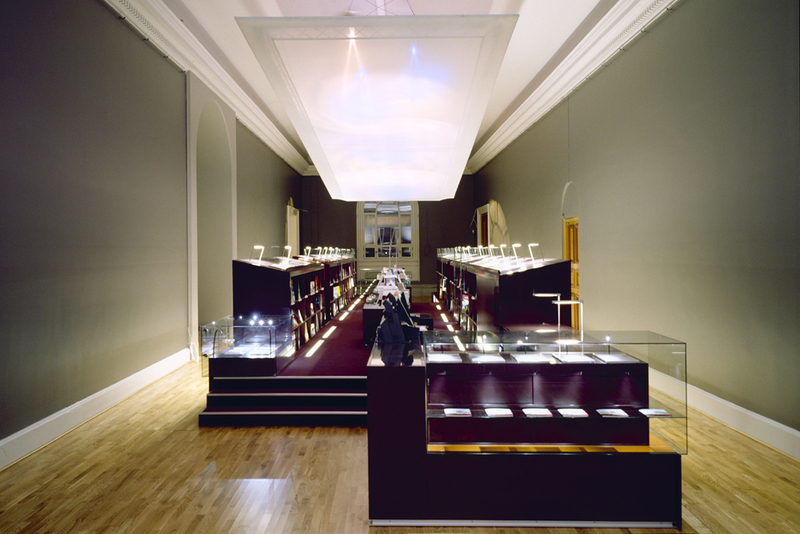 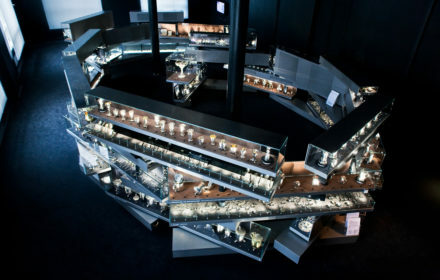 This manipulates the room’s perspective, and enhances the contact between the bookshop and the museum’s entrance hall. 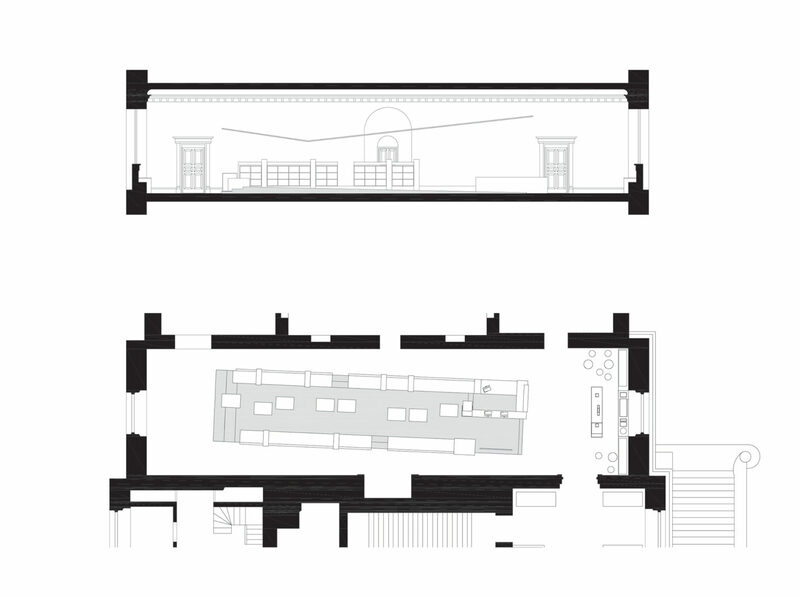 The central area is raised from the floor as a separate platform. 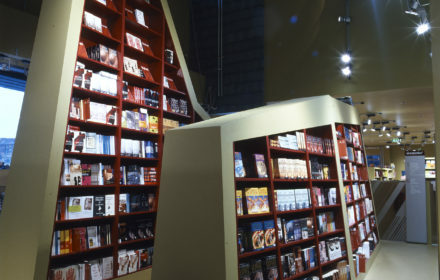 The suspended, backlit ceiling defines the shops inner zone.